After their first-ever win in Perth, the Warriors made the journey home to Mount Smart Stadium for the first time in 2018 to face the Gold Coast Titans. 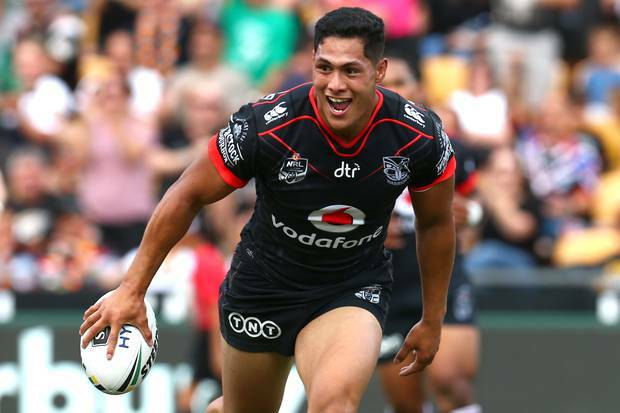 Buoyed by their first-round performance and their impressive record against the Titans the Warriors came into round two as heavy favourites and followed through never looking in danger with a resounding 20-8 victory. The Warriors continued from where they left off in round one, and it is hard to deny that it wasn't exciting to watch them play "Warriors Football" again live which leads me into my positives from the match. 28 offloads in this match was a sight to behold for this Warriors fan; sometimes I think the Warriors offloaded in situations where it may have been better just to take the tackle, but it was nice to see them throw the ball around with confidence. Even though they started the match slowly, they were always in control, even with only 43% of the possession they were able to keep the pressure on the Titans who sorely missed Ashley Taylor. Tohu Harris was a handful for the entire match and has already made an impressive combination with Peta Hiku and David Fusitua on the right edge. Speaking of which David Fusitua had another strong outing scoring another two tries to take his 2018 tally up to four. The forwards impressed me again, hitting the defensive line with intent and always threating to create second phase football. With Isaiah Papalii getting injured in the early stages of the first half the interchange forwards was relied on for more minutes, and they delivered. If the Warriors are to cement themselves at the top of the table, the forwards will need to continue tormenting the opposition without letting up. 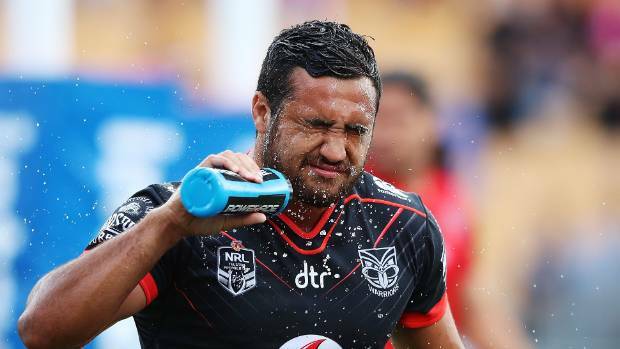 Blake Green continues to impress me, Ryan James was quoted in the post-match press conference saying that he believes Blake is the Warriors best ever signing. That's a big call but so far he has performed well above my already lofty preseason expectation of him, and long may it continue. I was also impressed that the Warriors didn't seem to let up, in years past the Warriors have been guilty of letting their foot off the gas when they appeared to be cruising towards a win. This year so far they have been pushing forward from start to finish trying to convert any opportunity into points. They also kept their heads in the game; their new huddle is working wonders so far, at the 76-minute mark when the Titan finally managed to score a try the Warriors didn't drop their heads, they focussed and made sure it was the last try the Titans got. If the Warriors can keep this level consistently and work on some finetuning, I believe that they are going to cause a lot of headaches for their upcoming opponents. Finetuning leads me to my negatives. This was not a perfect performance by any means, but the weak parts of the Warriors performance can be worked on and improved which is a good situation for the Warriors to be in. Penalties are still an issue; they were penalised less this round but giving a more quality side easy possession and field position could cause a lot of grief for the Warriors. Errors and missed tackles need to be reduced substantially, but they did make an improvement on Round one's effort, so they are at least heading in the right direction. The Titans had three tries disallowed by the bunker; It would have been interesting to see how the Warriors would have reacted if those tries were allowed. How would they react if they had to play catch up football? We may find that out as that situation may still arise in the upcoming months, but Im hopeful that they are able to stay composed when they behind on the scoreboard. There wasn't too much more that I could crack down on. To be honest, you may have seen more if you were watching from home as I find watching the game live at the ground I do tend to miss a few things so let me know if I have missed any negatives that need to be worked on. What a start to the season Roger has had, the stats speak for themselves. 232 running metres from 26 runs, 3 line breaks and 5 offloads. Roger had a field day in his return to Mount Smart and was continually threatening the Titans defensive line. With his contract situation all finalised in the offseason, it has allowed him to focus on performing on the field and leading this team. Roger is still a young captain and likes to lead by example, and the pride and passion he is playing with currently is infectious, and I feel that his 2018 can only get better. It was hard to pick a player to name my player who needs to improve, but I have gone with Peta Hiku. This was not an easy selection as Peta had an excellent game with the ball in hand but on the defensive side of the game, he still left a lot to be desired. Too many times Peta jersey grabbed when going in for the tackle instead of going for the man and this lead to several missed tackles. Peta is a proving a good centre to pair with David Fusitua he just needs to get his defensive effort to match his attack if he can do that he will be well on the well to avoiding my player to improve chapter for the rest of the season. For the first time since 2009, the Warriors are 2-0, and they make their way to Canberra to face the 0-2 Raiders. The Warriors have never started a season 3-0, and their record in Canberra is mediocre (3 wins in 15 appearances), but I feel that this is the Warriors team that can set the new starting record for the club and im picking them to win by 8. The Raiders have looked competitive in defeat so far this season and will push the Warriors to their limit in what should be an exciting encounter that I am looking forward too. So that was a promising Round 2, and so far I am happy with the way the Warriors are progressing, and as usual, I will leave you with some questions. How big a loss is Isaiah Papalii? What is your score prediction for the round 3 match with the Raiders?